We all have favorite restaurants in the world. Tan Dinh is certainly one of mine. 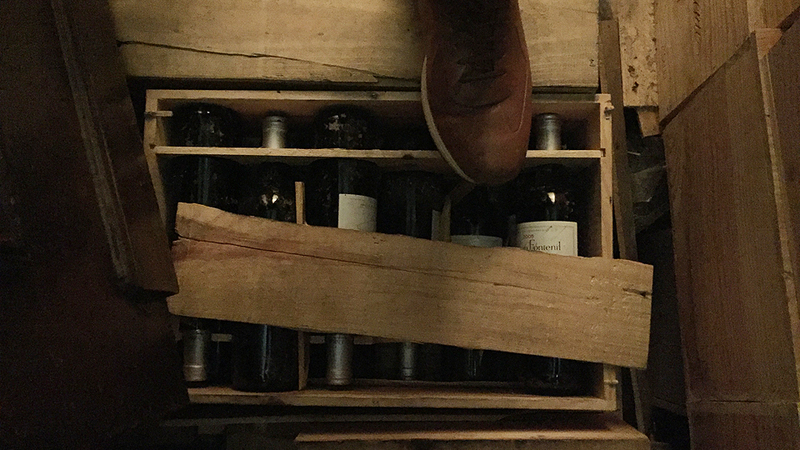 A laid-back, casual atmosphere, friendly service, great Vietnamese food and one of the fifteen or twenty best French wine lists in the world make Tan Dinh an essential destination in Paris. 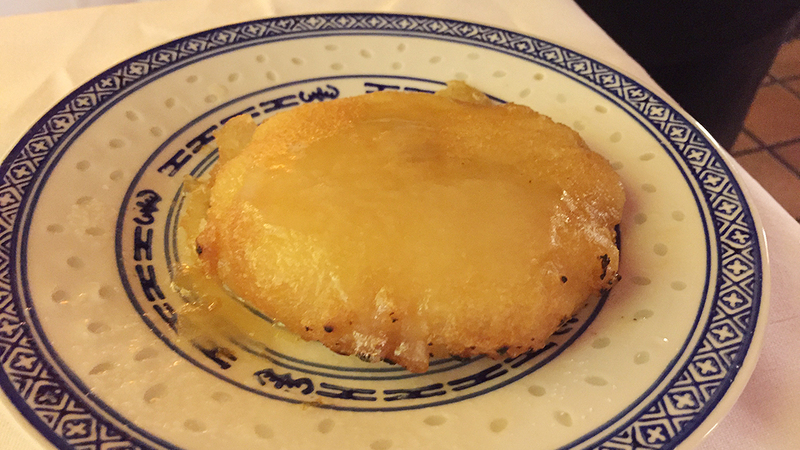 Going out to restaurants don’t get much better than a stop at Paris’ venerable Tan Dinh. Knowledgeable and friendly wine service, a non-stuffy atmosphere and good Vietnamese comfort food are the hallmarks of brothers Robert and Freddy Vifian’s historic eatery in rue Verneuil. 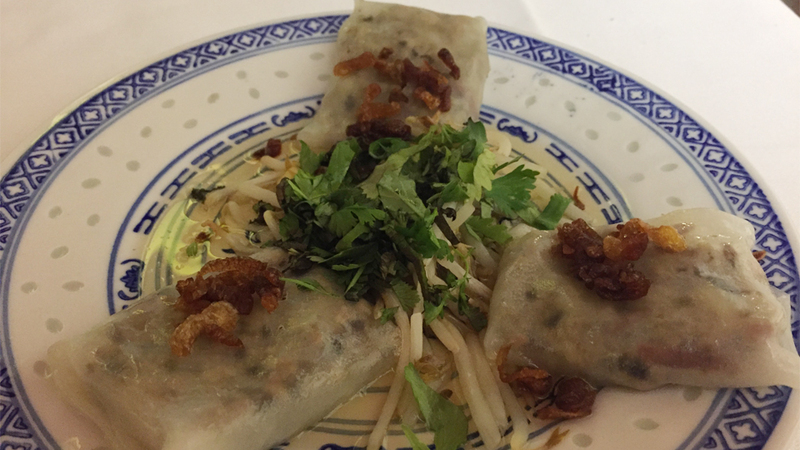 Tan Dinh has plied its trade for years, often to rave reviews. 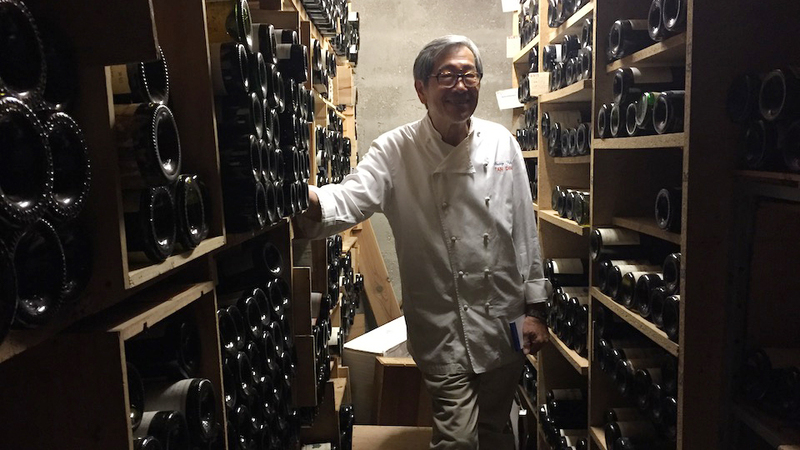 Those who are serious about wine must make it an objective to visit Tan Dinh at least once. 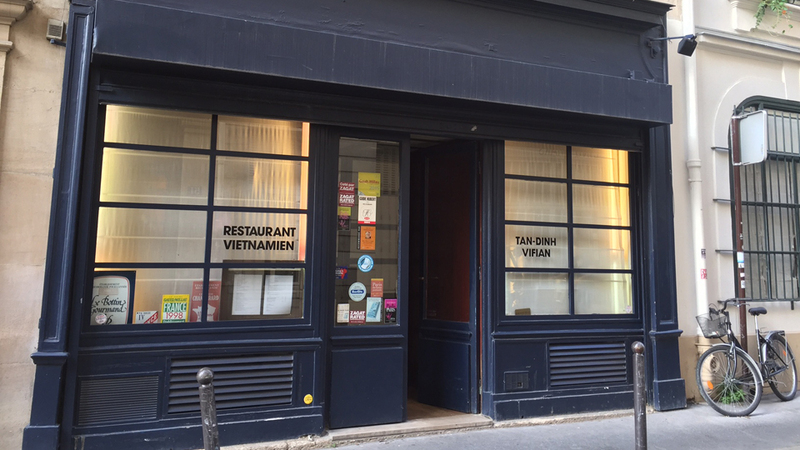 Purred on by Saigon’s fall to the Communists, the Vifian family arrived in Paris in 1968, opening a restaurant seemed like a logical thing to do, given there was no real Asian food to speak of in Paris at that time. Back then, in order to eat decent Chinese food, the French had to go to London (in Italy, we still have to), much to the happiness of the descendants of Joan of Arc and Napoleon, I’m sure. So, there was a market niche to fill, and the Vifians came to the rescue, filling that void admirably, and then some. It was an exciting time for the French culinary scene, as the influx of people from Thailand, Laos, Cambodia and other Asian countries would lead to the explosion of an Asian food movement that is still very much alive in the French capital today and that pleasantly contaminates much modern French cooking. My most recent dinner at Tan Dinh was just lovely. The warm Vietnamese vegan rolls and the cold rolls with duck and kumquats were classically rendered, fresh and tasty. The intensity of perfume and flavor that emanated from these dishes was hard to forget. I loved the mango salad with cinnamon pork paté, and appreciated the interesting juxtaposition of the mango with the cinnamon pork. When pork patés or sausages are prepared with special seasonings and cooked in a more creative manner rather just boiled, these are elevated to the realm of chả, a word that refers to fancier charcuterie (usually but not always, in the preparation of many qua ches, the pork is marinated in fish sauce, cinnamon, sugar, black pepper and corn starch for at least four hours, and much longer still, if possible). My reds on this night called for some serious meat. Given my choice of Bordeaux, lamb seemed like a no brainer. Tan Dinh’s sautéed lamb with galangal offered the pungent note of the galanga, a root similar to ginger to which it is related. Known as kah in Thailand and langkawas in the Philippines. There are at least four different galangals, of which Greater galangal is the most commonly used in these cuisines. On this evening, the food was great and the wines were too. The 2015 Philippe Raguenot Bordeaux Première Côtes de Blaye Blanc made an excellent aperitif and a perfect start to dinner. The juicy fresh Sauvignon Blanc bite was tempered and smoothed by a dose of Sémillon, making for a more complex, more tactile and ultimately interesting drink. A real beauty on this night turned out to be the 1986 Gitton Père et Fils Sancerre Les Herses, drinking beautifully and a great suggestion of Vifian (I had chosen an older Trimbach Fréderic Emile, but I am not at all sorry I followed Freddy Vifian’s spot-on suggestion.) Made from Sauvignon Blanc vines planted on a mainly silex soil in 1961, 1972 and 1981 at about 200 meters above sea level, this creamy, complex, layered Sancerre belittled the belief that Sancerre cannot age well. Aromas and flavors of ripe gooseberry and lime, sage and rosemary, peach and crystallized apricot complicated by a touch of mint literally jumped out of the glass. 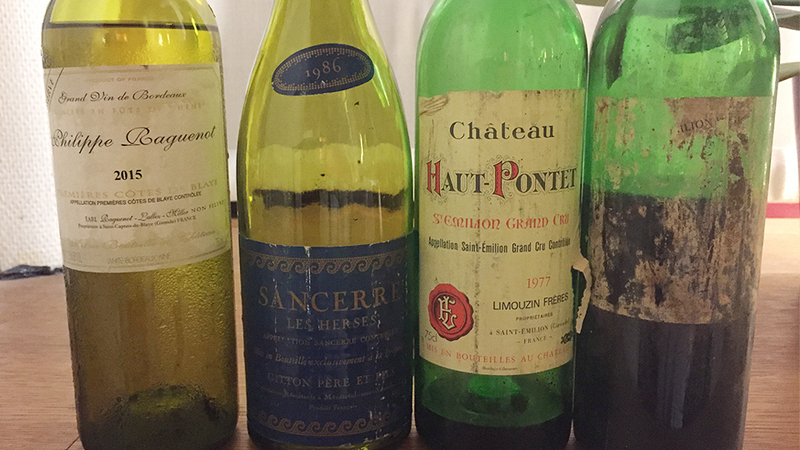 Another useful lesson on this night was confirming just how beautifully the 1977 Château Haut-Pontet Saint-Émilion Grand Cru has aged and what a wonderful wine it is. Anyone who follows Bordeaux knows that 1977 was one of the most miserable vintages of all time, and yet this bottle proved just how magical Bordeaux reds can be when made by competent winemakers and given the right amount of bottle age. The 1977 wine was light but lively, a marvel of balance and dainty cedar, redcurrant and orange peel nuances that left the palate feeling fresh, clean and ready to eat some more. Precisely what wine should do and what all those high pH, chocolaty “liquid Viagra” bottlings out there fail at so miserably. The night couldn’t have finished any better thanks to the glorious 1978 Château Magdelaine Saint-Émilion Grand Cru, another underrated vintage and a famous Saint-Émilion that was much criticized in its lifetime mainly for not being ultra-rich, thick and decadent. Instead this lovely Magdelaine’s dainty citrusy, mineral (that’s the limestone talking), strawberry, cinnamon, and violet nuances kept me company during the truly beautiful late springtime walk back to my hotel in the Ville Lumière.